One of three key routes leading to the summit of Mount Rinjani on Indonesia's Lombok Island has been cleared following an earthquake that stranded hundreds of trekkers on the volcano's slopes, the national park authority said on Monday. [post_ads]"The Senaru trekking route on Mount Rijani is now clear," Mount Rijani National Park said in a Tweet. "A helicopter is being used to drop logistics to tourists still in the ... area," it added in another Tweet. Sutopo Purwo Nugroho, the disaster mitigation agency's spokesman, had said late on Sunday that out of 820 people on the slopes of the volcano when the earthquake struck earlier that day, 246 had been successfully evacuated. Efforts were underway on Monday to rescue several hundred trekkers stranded on Mount Rinjani on Indonesia's Lombok Island, a day after a powerful 6.4 magnitude earthquake struck the popular tourist destination, a disaster agency official said. 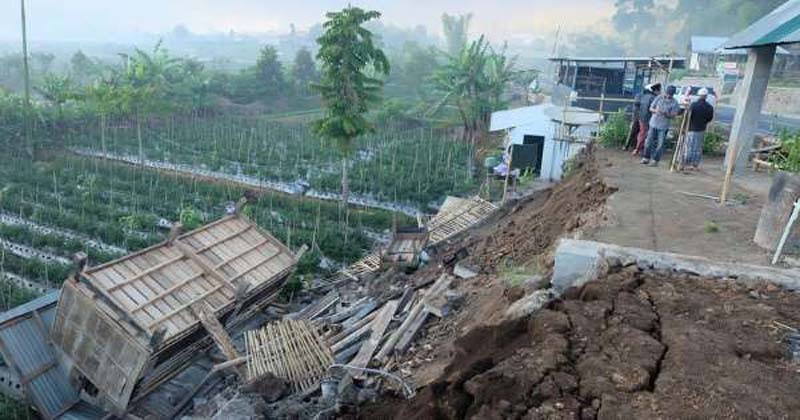 Agung Pramuja, an official of the West Nusa Tenggara Disaster Mitigation Agency, said the death toll from Sunday's earthquake stood at 16. "The latest information from the team in the field is that today all the families stuck on Mount Rinjani will be evacuated via the Sembalun trail," said Asdiyanto, an official at the North Lombok Disaster Mitigation Agency. "This is being handled by the management team from Mount Rinjani National Park," said Asdiyanto who, like many Indonesians, uses one name.